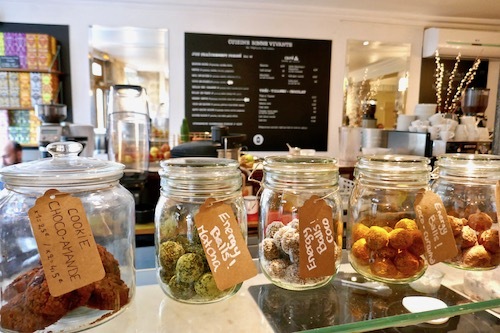 Paris may be known for their croissants and macarons, but there's a new healthy food scene going on offering choices for allergy sufferers and those who want to eat a little lighter. Oui, it's now possible to eat healthy in Paris! Paris can be a wonderful place to indulge in fabulously rich and decadent food, but now it's also a place where people can eat a lighter, healthier meal. Macaron and croissant lovers, don't worry. There's still butter and chocolate everywhere, but now there's also gluten free and vegan food options for those who suffer from allergies or simply what a more nutritious meal while enjoying the City of Light. When I lived in Paris, vegan and gluten free were not words I ever heard uttered. Ah the difference a few years can make. 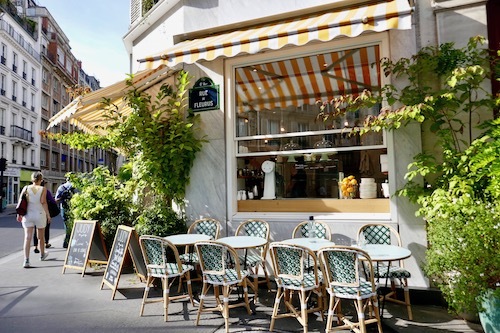 Not only are there now gluten free and vegan options in Paris, but there's also just more overall healthier options to be found when you simply want a lighter meal in Paris. Here are some of my recent discoveries, and others I discovered outside of healthy eating. Noglu is an organic and gluten free bakery in Paris. It now has three locations across the city, along with a spot in NYC. The sweets counter looks as tempting as any other in Paris, but all product are sans gluten. Some are even vegan. There's a cheery cafe on Rue de Grenelle to enjoy a vegan chocolate cake or something more substantial for lunch. I enjoyed a delicious, fresh chicken and broccoli salad and my friend had a homemade quiche lorraine. In case you think we were being too virtuous, we ended our meal with the recommend gluten free carrot cake. Let me tell you, you'll miss nothing in that cake. It's divine and not suprisingly, a best seller. Noglu does attract its share of Parisians, but in the afternoon, it's often filled with tourists who come in search of healthier fare. Wild and the Moon had the healthiest overall vibe going. It felt just like being home (for better or worse). People worked on their computers while sipping organic, cold-pressed juice and snacking on gluten free scones and raw veggie crackers. Wild and the Moon uses no refined sugar, gmos, additives, soy, dairy or gluten. There's smoothies, soups, salads, snacks, and desserts. You can grab things yourself out of the fridge like raw peanut kelp noodles or cucumber avocado moon rolls, or try their house made kale crisps. Yes, even Shakespeare is getting healthy in Paris. The cafe has a partnership with Bob's Bake Shop, who's been creating gluten free and vegan fare in Paris for several years now. 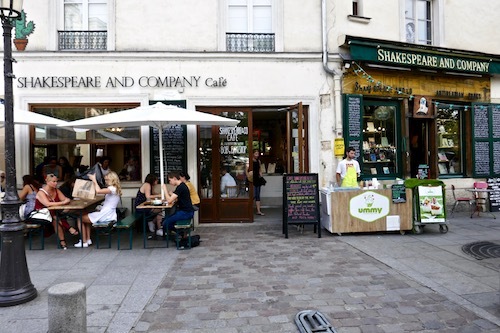 You'll find smoothies, chia pudding and rotating selections of warm bowls and quiches at The Shakespeare and Company Cafe. They even have kombucha, which I did see several places around Paris. If you're short on talk with your dining companion, they have conversation starters like favorite books or which superpower you'd most like to have (the power of flight of course!). Cafe Pinson is just around the corner from Wild and the Moon and a nice spot for more relaxing and catching up on email. 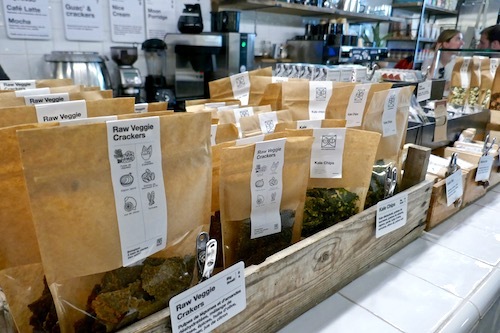 They too have their share of healthy organic food, coffee, tea, juices, and snacks. There are vegan vegetable based dishes that use a lot of spices and flavors like tamari and homemade vinaigrettes to toss with the latest seasonal produce. Or you can just grab some homemade matcha or coco energy balls to sample while sipping some tea. Paris is definitely embracing the grain bowl as I saw it on many menus around town, sometimes with a protein, often with avocado, quinoa and seaweed. I was very happy to see seaweed on multiple menus. 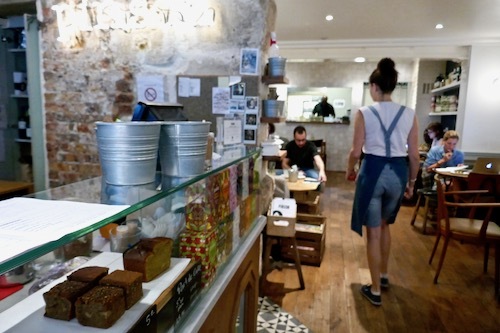 La Guinguette D'Angele is an adorable gluten free, vegetarian cafe not far from the Louvre. Sadly it was closed when I visited, but it would make for a nice picnic in the nearby gardens of the Palais Royale. A short walk from Republique is Chambelland, home to delicious baguettes and baked goods made without gluten. Judy and the Good Life is just off the Luxembourg Gardens. It would make for a lovely Sunday brunching on paleo banana pancakes and acai bowls before an afternoon stroll through the gardens. The Nothern Marais is healthy food mecca in Paris. I used to live just down the street and I would have been in heaven with all of the new healthy options. Wild and the Moon and Cafe Pinson both have locations in the Marais, but there are several others to note. Nanashi is just across the street from Cafe Pinson on Rue Charlot. 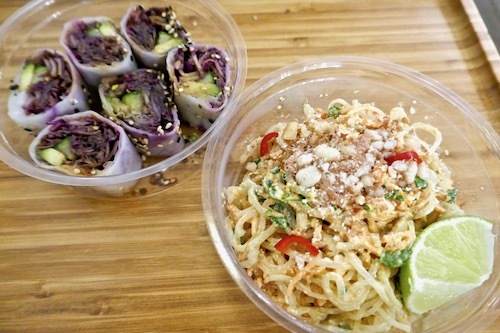 Nanashi specializes in well-sourced ingredients, presented in bento boxes. There's meat, fish, and vegetarian options, along with edamame, miso soup, and spring rolls. The weekend bento boxes include smoked salmon and salad. 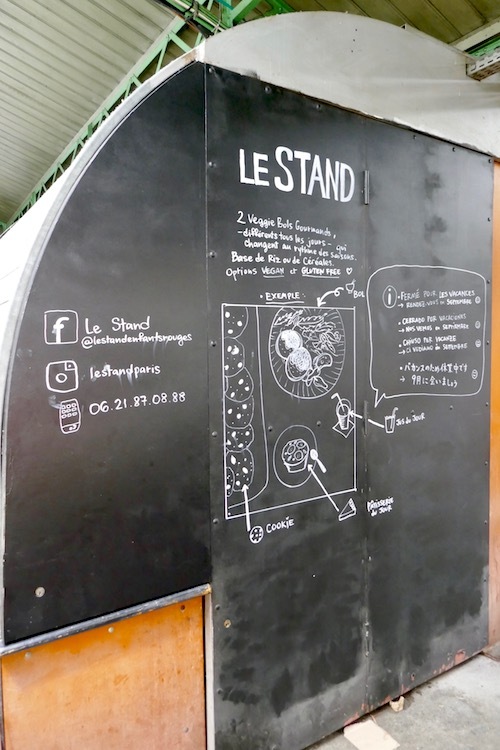 Le Stand is situated right in the Marche des Enfants Rouges. I love that open air market. It's a fun spot to meet people for brunch on the weekend. The crepe guy is also worth waiting for, but if you're looking for a delicious vegetarian meal, then check out Le Stand. A woman from Nanashi started this simple place and has been attracting big crowds. Ob La Di is right next door to my former hang out Candelaria. When I was jonzing for some Mexican-ish tasting food, I would pop down to Candelaria for a taco. They also have a cool cocktail club in back, but I digress. Ob La Di is a tiny slip of a place right next door that's serving up delicious baked goods that are gluten free and some are vegan. You can get your coffee on as well, or dive into a vegetarian burger. Health Inside is on Rue Charlot, almost at the entrance to Marche des Enfants Rouges. Yup, there's juice, veggies, fruit and vegetarian and vegan warm dishes. No sugar, dairy or gluten. If you want to go all in, you can do a juice cleanse with them and get in on their detox system. Bob's Kitchen is one of the spots that started it all, and the partner I mentioned with Shakespeare and Company. Bob serves vegetarian and vegan fare. 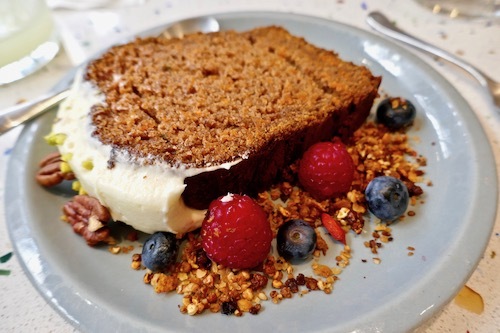 He has a juice bar and stand alone bake shop as well, serving natural, organic dishes. There's a decent collection of grocery stores in Paris selling organic and natural food products when you want to stock up on healthy supplies or make your own picnic. 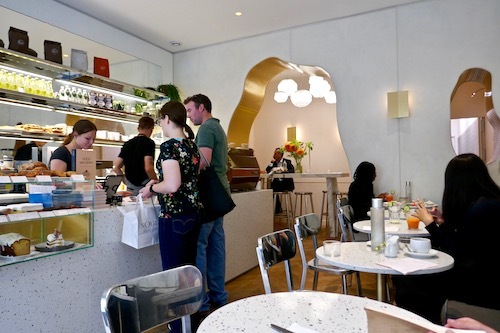 Le Grand Epicerie, attached to Le Bon Marche, is the place to go for glitz and glamour with your healthy prepared foods and ingredients from around the world. If you've got money to spend, they have it all. 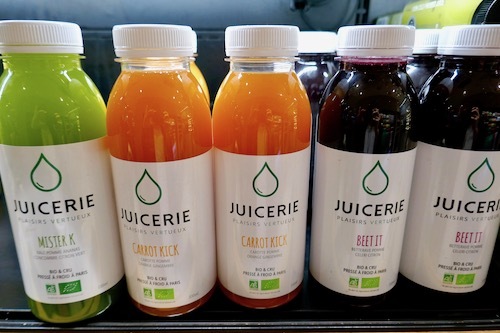 They also have partnerships with several juice companies and healthy proprietors in Paris, so you can have one stop shopping here. This is also a good time to mention avocado toast. It's everywhere. We're not the only ones in LA obsessed with overpriced bread and avocados. You can also spend 10 euros for it in Paris. 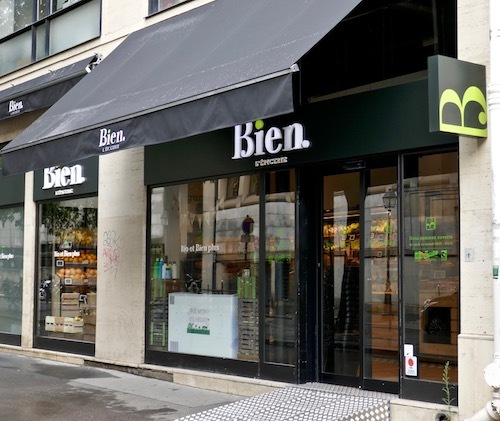 Bio c' Bon, Bien L'Epicerie, and Naturalia are all good healthy, organic food grocery store options in Paris. 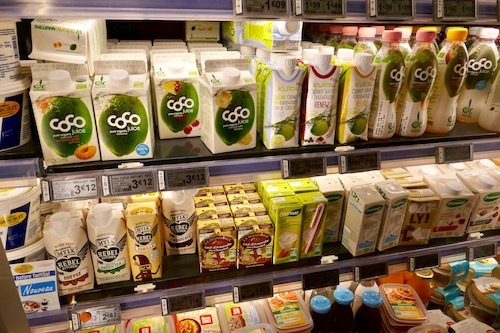 You can usually find dairy free coconut based options, as well as many gluten free grains and biodynamic ingredients. 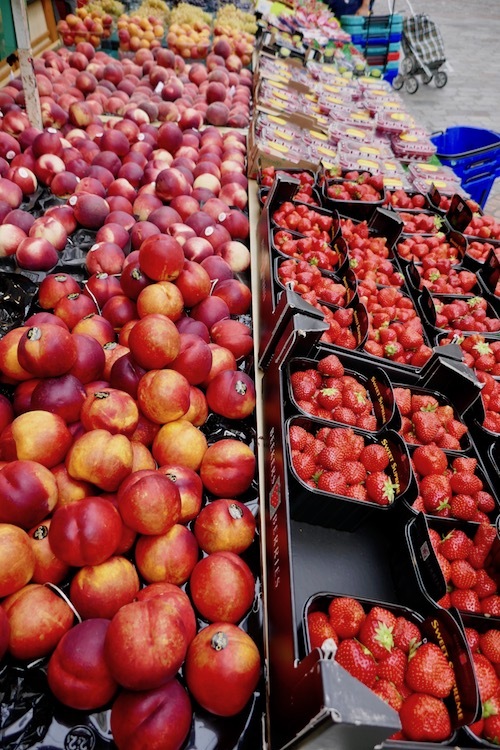 And of course one of the best spots to shop for healthier ingredients is the multitude of farmer's markets that happen all across the city, every day of the week. Buy your own ingredients and head to any of the wonderful outdoor spots I discussed in my last post. Make your own picnic and enjoy the healthier side of Paris! Looking for More Cities That Boast Healthy Eating?